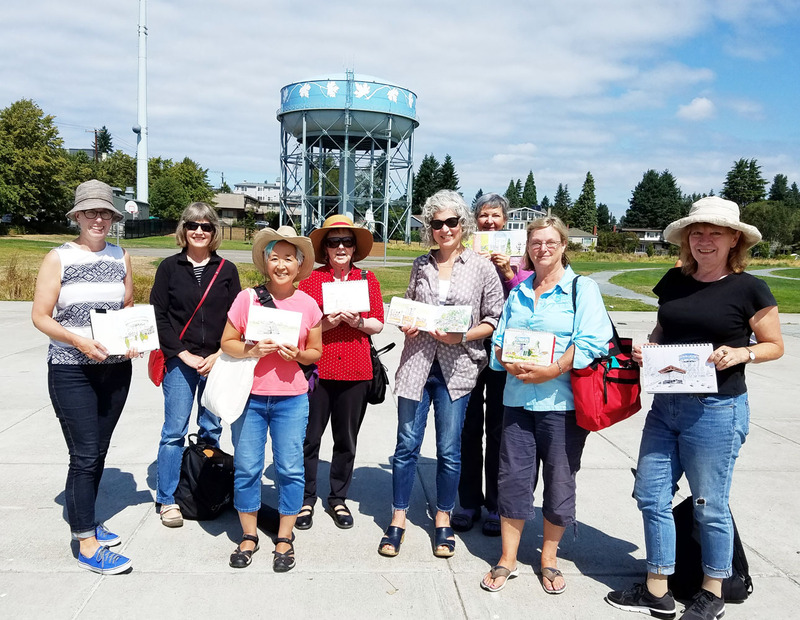 That’s what I wrote on the Urban Sketchers Seattle blog to promote today’s outing to Maple Leaf Reservoir Park. Perhaps I oversold it just a tad, as the cloud cover never did reveal The Mountain. 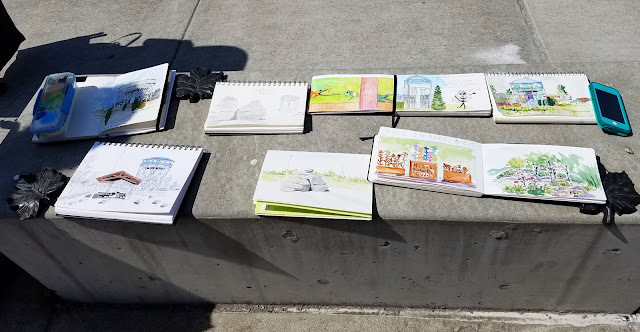 Still, a good turnout of sketchers found plenty to sketch in “my” neighborhood park on a beautiful morning. I sketch at this park regularly, so I was bound for a redux, no matter what view I chose. 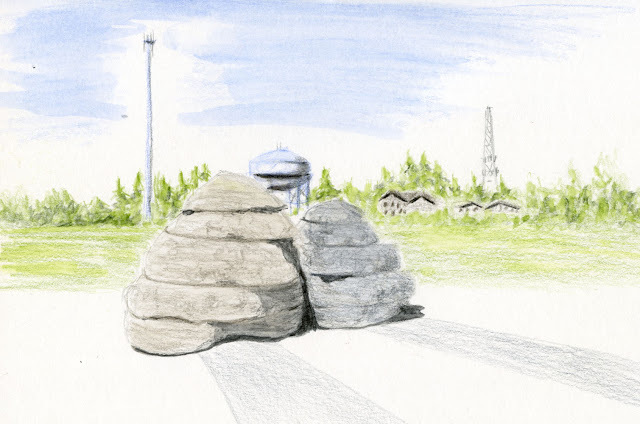 But it had been more than three years since I sketched this view of the public art, Confluent Boulders, and the iconic water tower behind it, so it didn’t feel old. (The sculpture by Patrick Marold is made from two sliced-up boulders taken from the Cedar and Tolt river watersheds, which both feed the Maple Leaf reservoir, now hidden beneath the park.) It was especially enjoyable this time with the warm sun at my back and Natalie and Anne for company. Familiar views feel fresh when I try to imagine them being seen through the eyes of a newcomer. Maple Leaf Park was new to everyone who joined the outing yesterday, so it was fun to imagine seeing and sketching it for the first time. Welcome to two new faces, Marty and Cindy!